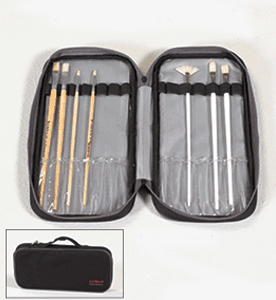 * Just Stow-it Artist Tool Bag is made to fit all the toolery of the artist. * Just Stow it is a simple way to stow your materials when you are "on the go". * Overall dimensions: 14.5" x 7" x 1.5"
* Durable water resistant material.